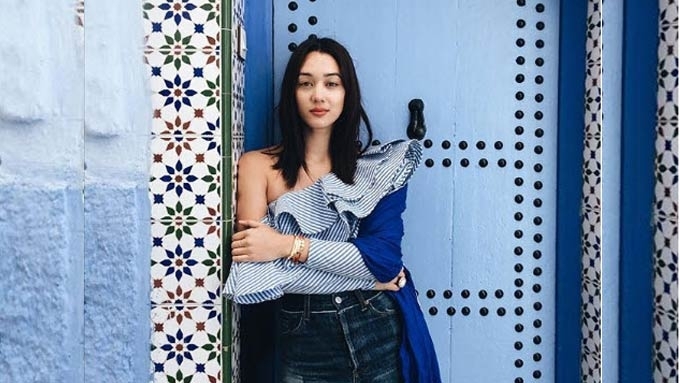 Kim Jones professes love for \"sale shopping\"
Kim Jones professes love for "sale shopping"
Kim Jones updates her closet with sale and outlet items. Kim Jones is this year's most-traveled female celebrity. Wherever she goes, the wife of Jericho Rosales is a head-turner in her chic OOTDs. As a wandering fashion blogger, one would assume that Kim keeps her closet fresh with the latest trends and designer essentials. But you might be surprised to learn that Kim bothers herself with neither trends nor labels. "Not a lot of people know this, but…I love sale shopping. "I now love outlet shopping." Even though her work entails that she watch the latest runway shows in Paris, the 30-year-old influencer thinks twice before pleasing herself with the purchase of the current fashion trend. She elaborated, "I think as I've gotten older, I'm definitely more about the quality and less about the quantity. "I want to support brands and designers who are looking at more and more sustainability options, and making sure they are supporting and promoting sort of locally-made products and products that are made well. "That's probably what I look at before the labels or before I look at cost or before I look at trends or anything like that." In fact, Kim purposely lets these trends pass so that she can buy them at a lower price. She confessed, "I will wait a little bit longer to find things on sale, then I'll buy them." But what does she consider her most expensive fashion splurge so far? "I think that the most expensive thing [I bought] recently is a Balenciaga hourglass blazer that I intend to have with me forever." A Balenciaga hourglass sculpted blazer retails at the full price of PHP117,240 online.